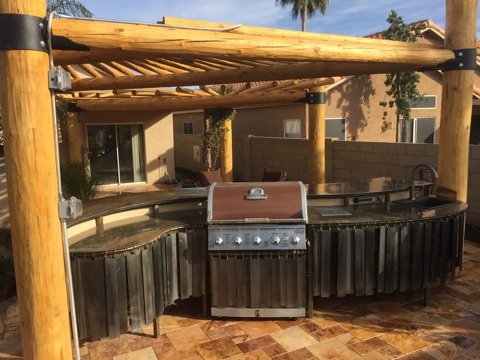 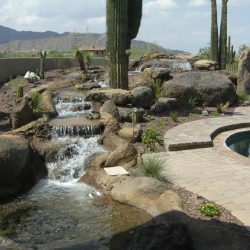 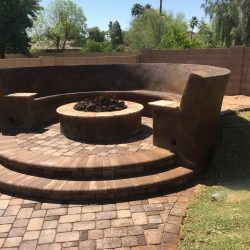 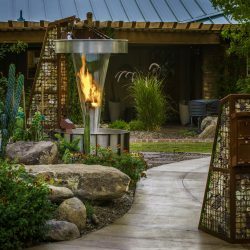 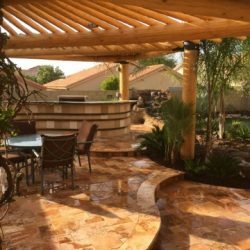 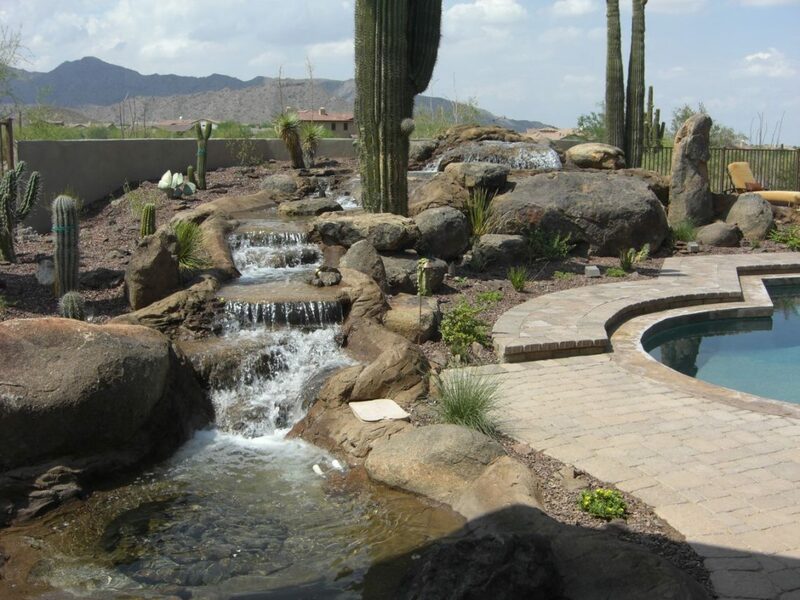 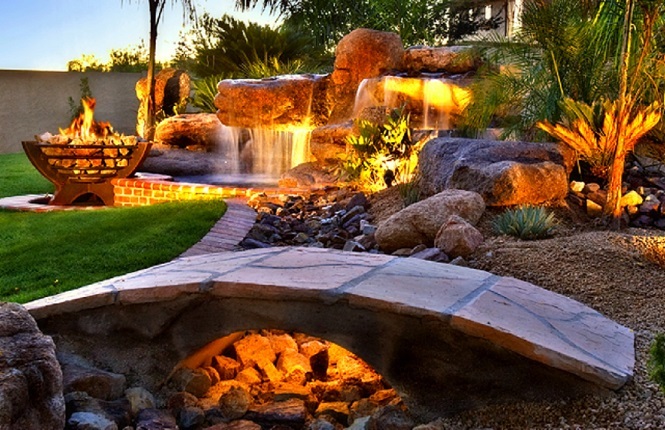 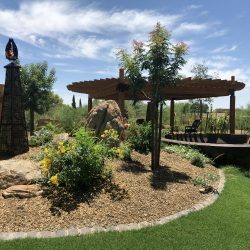 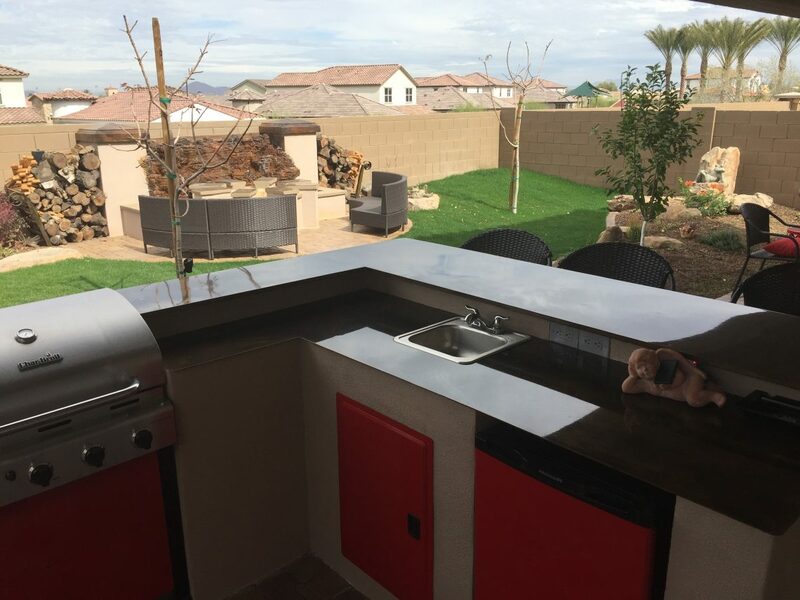 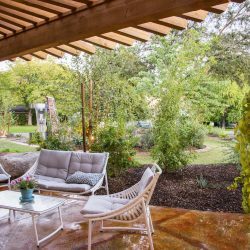 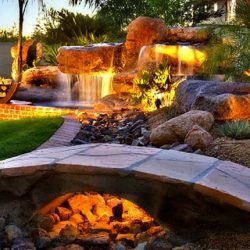 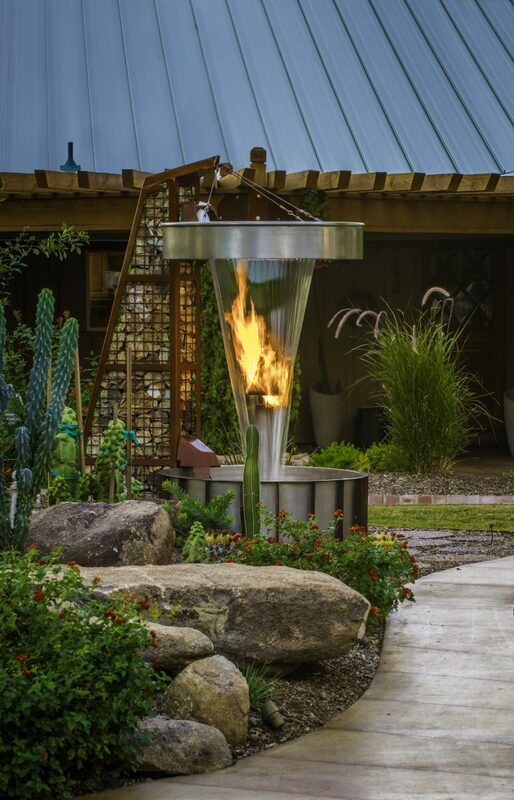 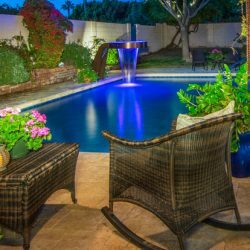 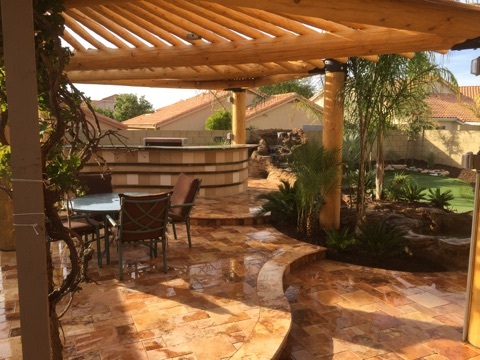 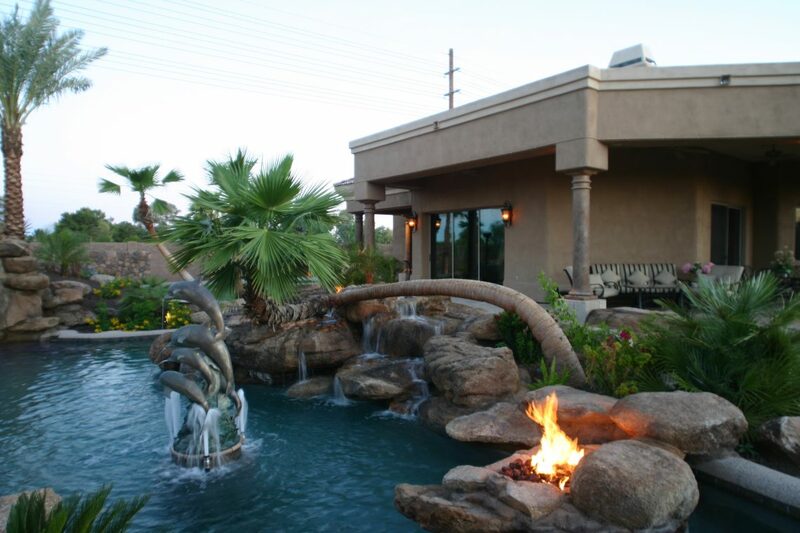 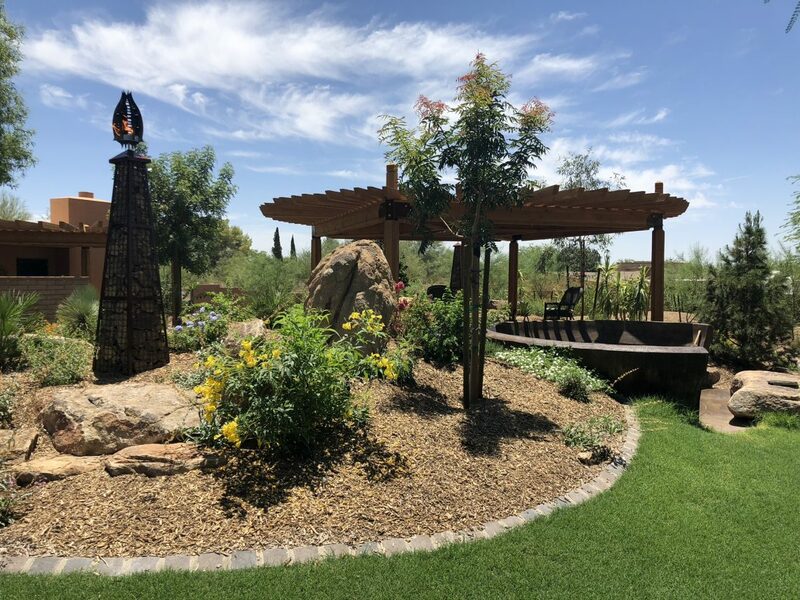 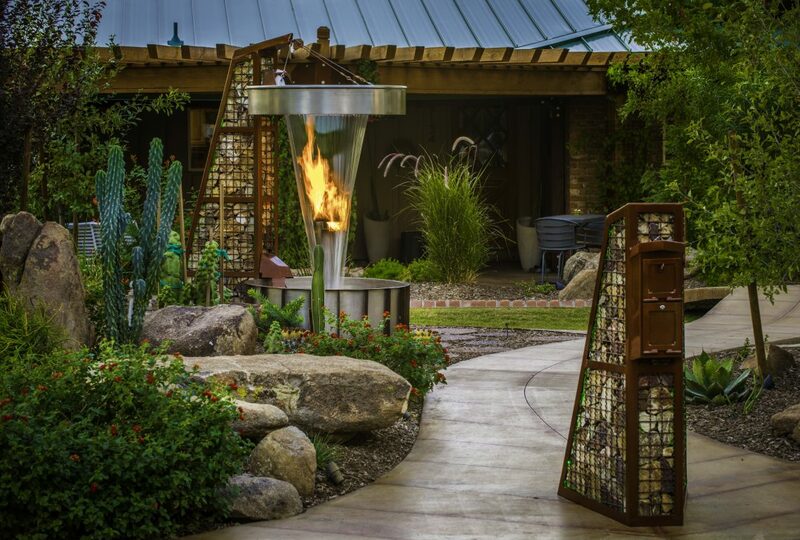 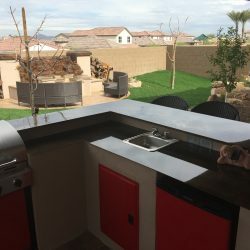 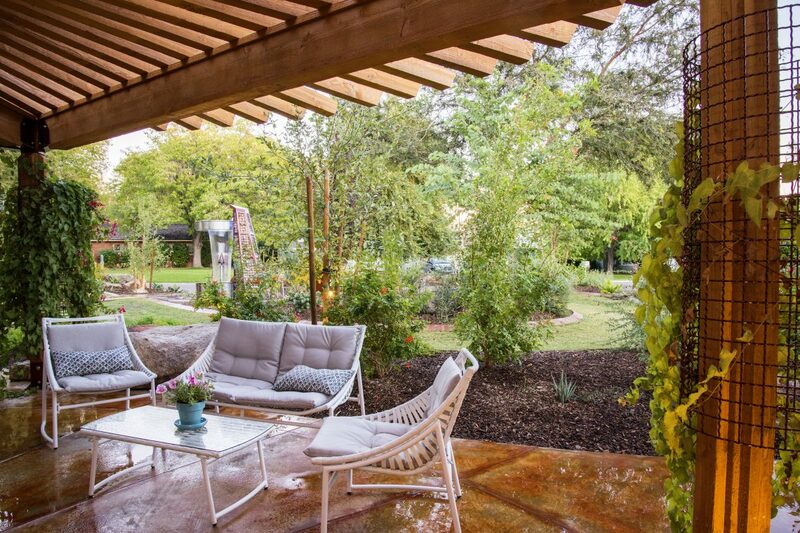 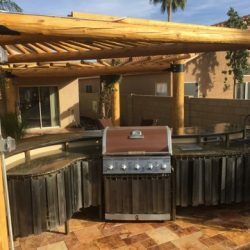 According to the American Society of Landscape Architects, fire features, such as pits and fireplaces, are the number-one-requested design feature today. 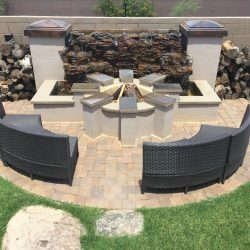 The climate in Flagstaff is perfect for enjoying a fire pit for many months of the year. 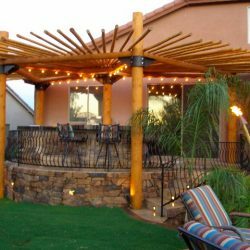 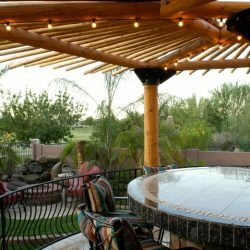 They add ambiance to a cool evening, and provide a great focal point for an intimate gathering or entertaining friends and family. 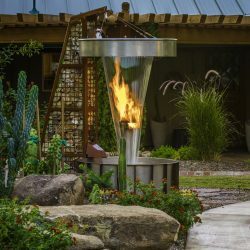 People naturally gravitate to the flicker and warmth of an outdoor fireplace, and it’s relaxing to just sit and be mesmerized by the dancing flames. 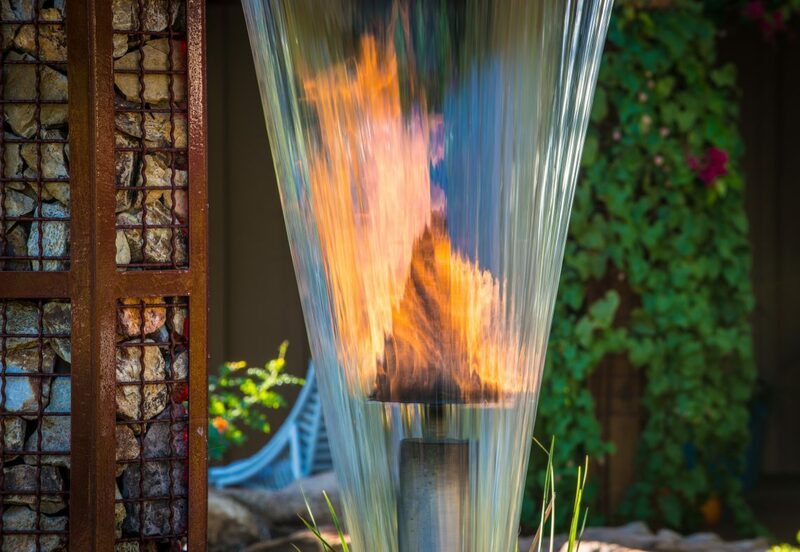 Always be aware or our city-issued fire safety warnings and follow the rules for each stage. 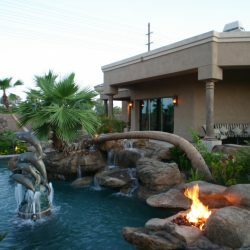 Keep your fire feature a minimum of 10 feet away from any structure or neighboring yard, though 25 feet is preferable. 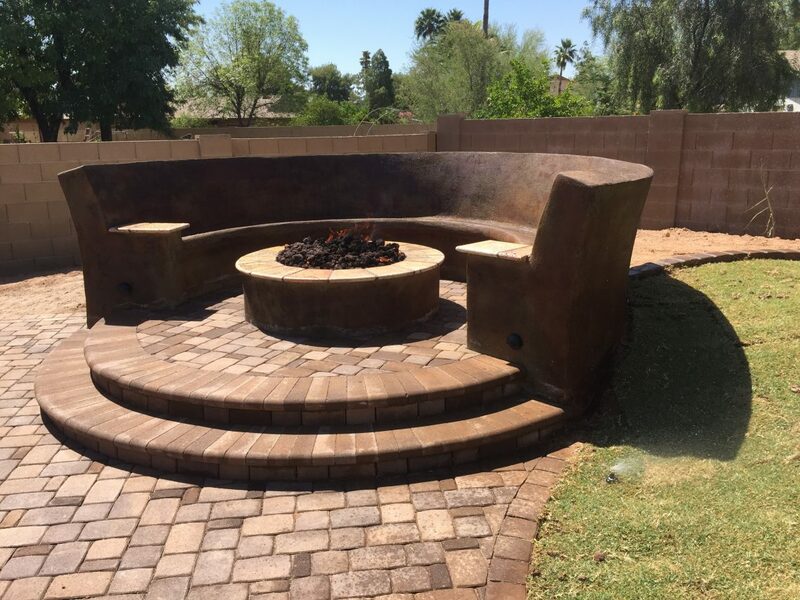 Pit should be at least 6 inches deep at the center and 2 feet across- to keeps the embers and flames contained. 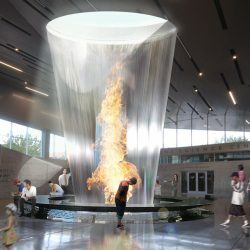 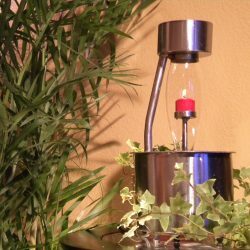 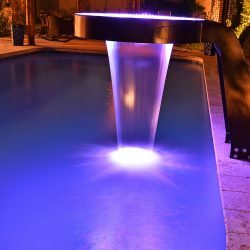 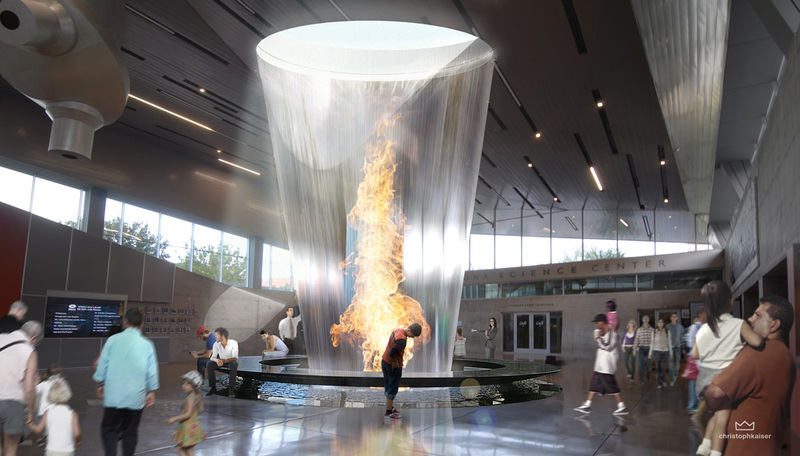 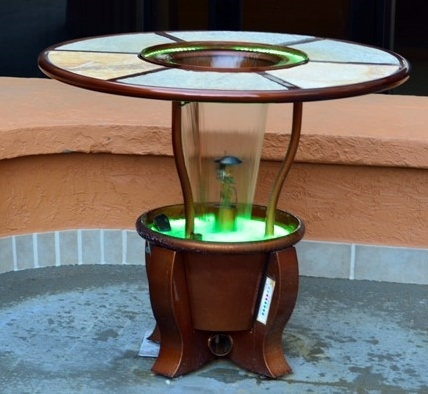 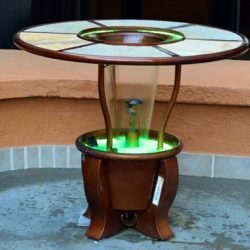 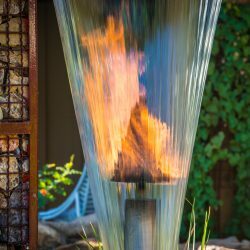 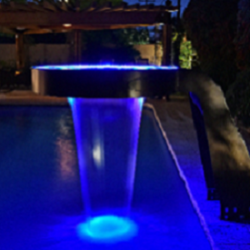 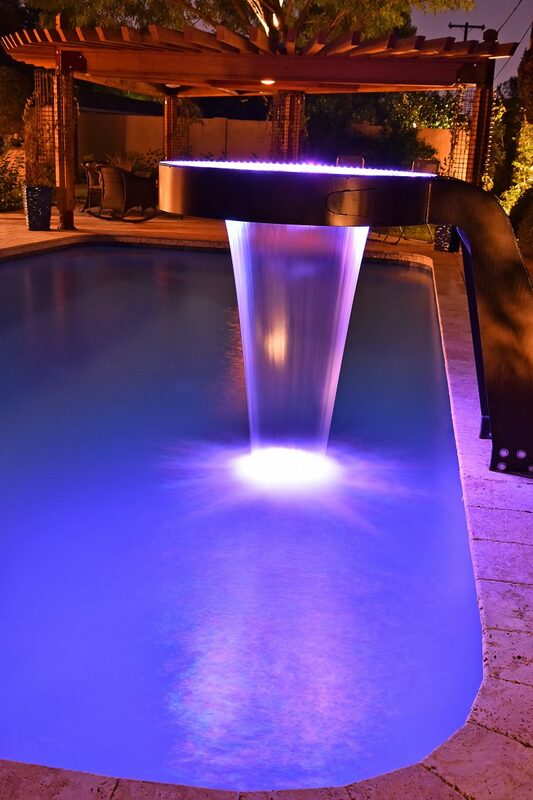 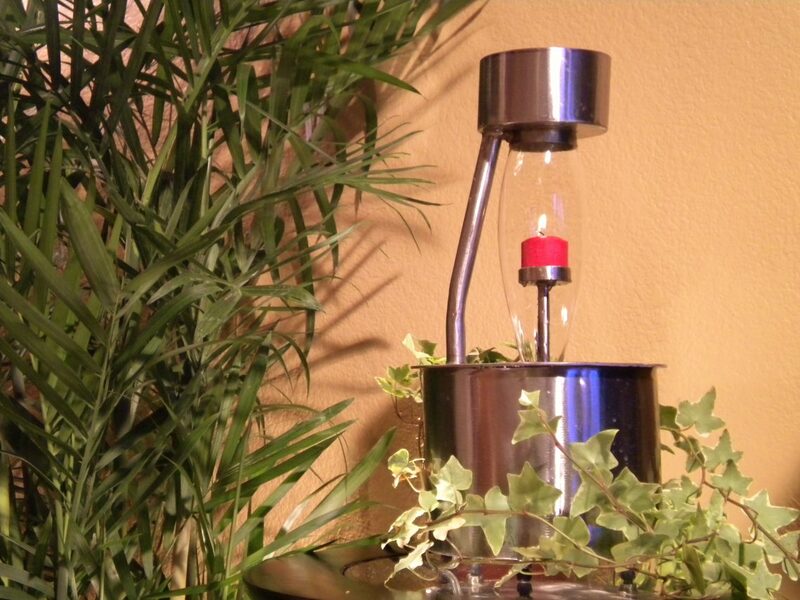 Very cool effects can be created like with our patent pending new “fire fountain” (please check out our web site to see it) or fire and water creations. 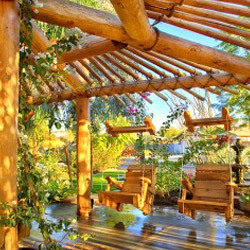 It’s funny how often the simplest things can mean the most. 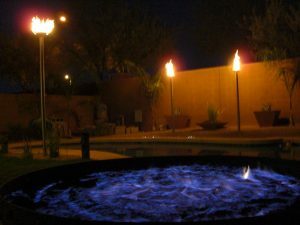 Life is better around a campfire. 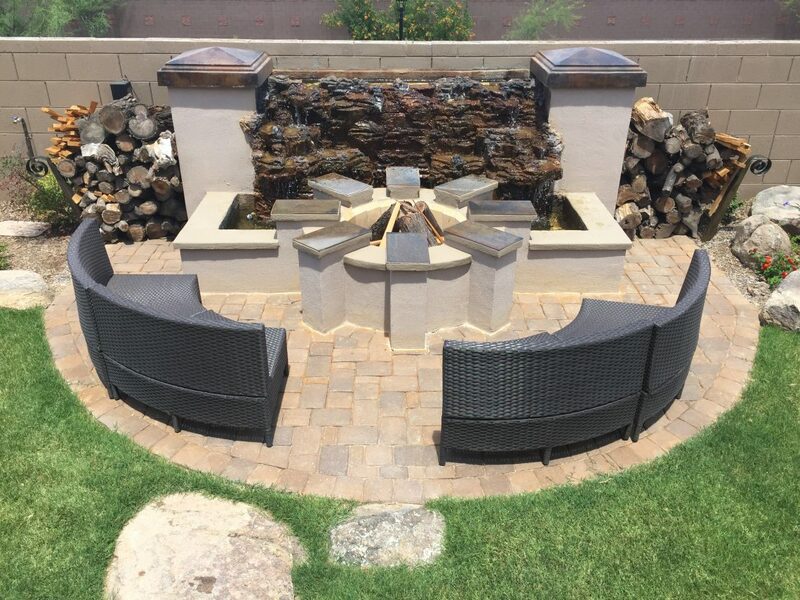 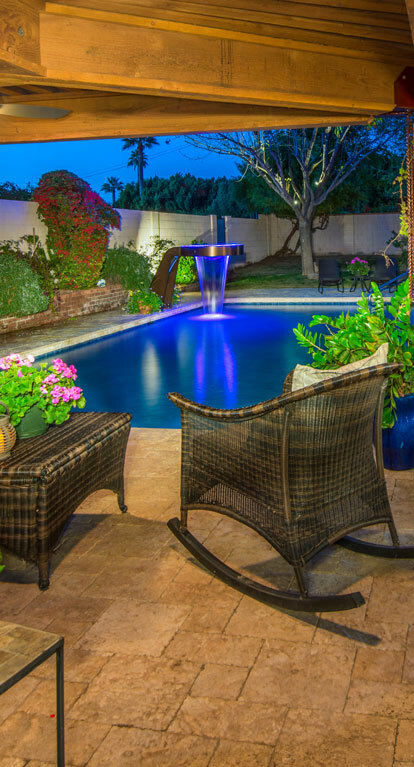 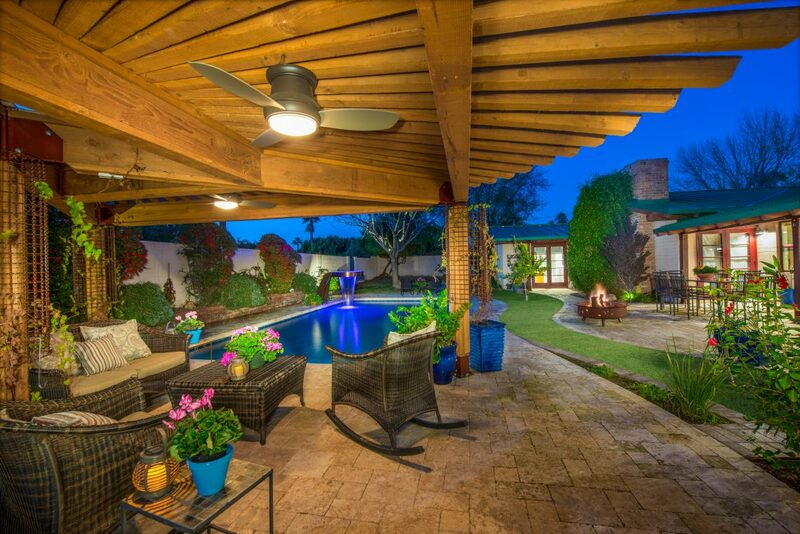 Turn off your new TV and spend time with family around the world’s oldest TV… The fire pit! 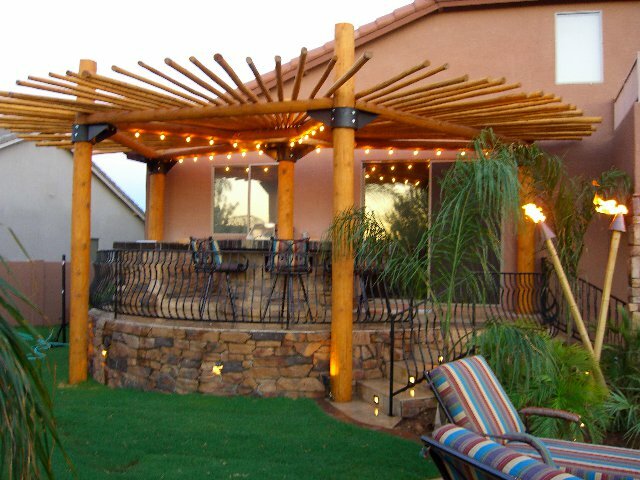 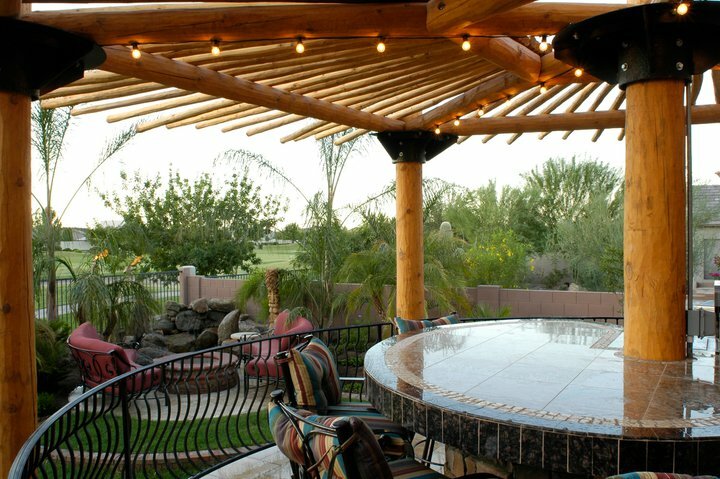 Next week we will address the return on your investment for outdoor improvements. 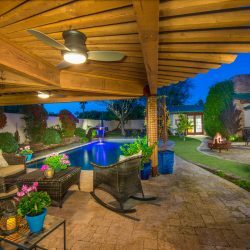 RealEstate.com, reports that for every dollar spent on upgrading a backyard or outdoor space, a homeowner can expect to get back anywhere from 60 cents to two dollars. 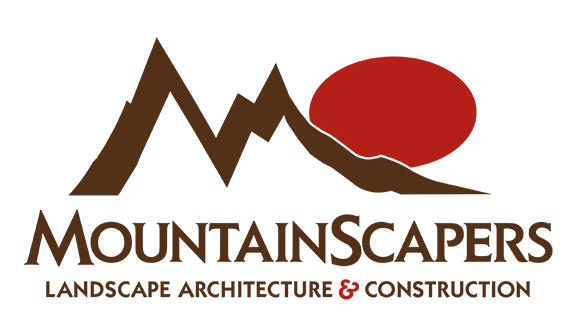 We’ll tell you how.